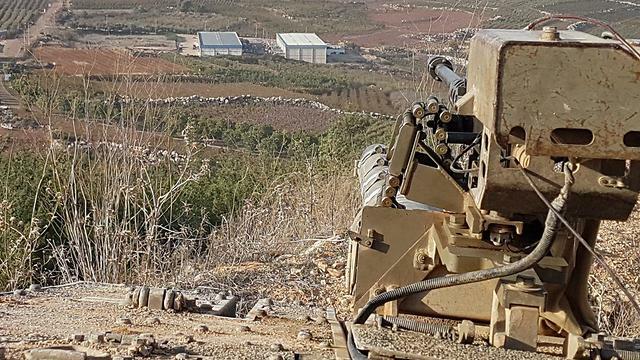 After losing thousands of its fighters in Iraq and Syria, the Shiite organization is boosting its presence in Lebanese villages along the Israel border, undeterred by the high walls being built by Israeli engineering forces. ‘In a spur-of-the-moment decision, they could hurl an explosive device at us or fire from a passing vehicle,’ battalion commander says. 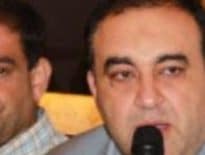 Hezbollah is returning to Lebanon with self-confidence and operational experience, just in time for a new year which may include a violent turn against Israel.The exchange of verbal punches and mutual warnings this week, which begun with the IDF spokesperson’s unusual op-ed in the Arab media and continued with the defense minister’s harsh warning, likely won’t be felt in northern Israel’s hiking treks and spectacular flowing streams this coming weekend, as Israeli tourists visit the area bordering on Lebanon and farmers keep working their lands in the Galilee Panhandle, right next to the fence. 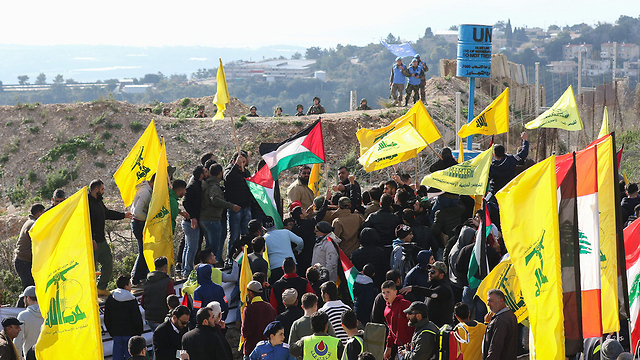 But beyond the pastoral setting, there are some points on the border where Hezbollah might decide to set its own red lines in the coming year. It’s not just the factories Iran is interested in building in Lebanon to convert the organization’s rockets into precision-guided missiles. Hezbollah is returning to Lebanon bleeding and bruised, after losing thousands of its fighters in Iraq and Syria, but this isn’t necessarily good news for Israel: The Shiite organization isn’t happy with the fortifications and high walls being built by engineering forces on certain segments of the border. 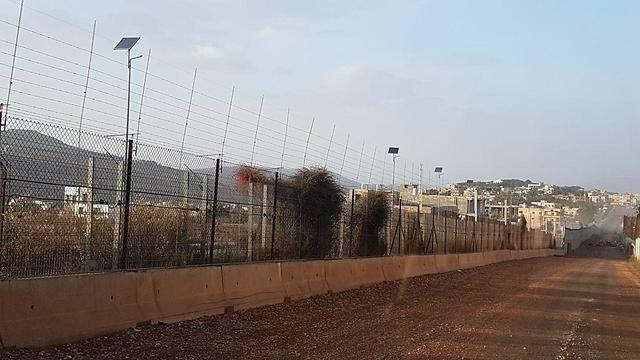 These walls may irritate Hezbollah and evoke a concreate response, whether through emissaries—in other words, terrorists affiliated with Hezbollah, but without taking direct responsibility—or through clear rocket fire by the organization’s activists. 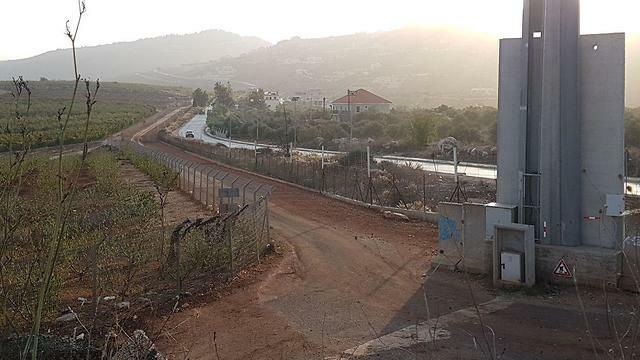 IDF officials are insisting that the walls, mainly near border-adjacent communities like Metula, are being built on Israeli territory. Hezbollah disagrees in some cases. There are dozens of points of contention along the border which have yet to be clarified since the end of the Second Lebanon War. Occasionally, Israeli representatives meet with representatives of the Lebanon army for UNIFIL-brokered discussions aimed at solving these disagreements, which won’t necessarily remain on the negotiating table. It’s quite possible that a concrete incident concerning a small controversial piece of land, or the continued establishment of the fortification system along the border, will spark the next northern war. Lebanese army forces patrol the area from time to time in vehicles which are hardly marked, and UNIFIL observes the situation from above, on the Lebanese side. In between, Hezbollah is operating secret activists. They’re all watching us, some filming and observing, others writing things down. The Galilee Division observation points are working overtime too. The investigative gaze of the woman soldiers in the operations room isn’t just focused on the visible line of contact, but stretches deep into the territory. The soldiers are using the innovative multi-sensor system, which covers wide areas. One day, these soldiers will might have to detect Hezbollah fighters, an entire “Radwan” force, sneaking through the border, armed from head to toe, and breaking into a community or a nearby post to carry out a killing spree, take hostages, barricade themselves and, most importantly, stick the Shiite organization’s yellow flag on Israeli territory and document the achievement. On a good day, one can easily see the legendary Beaufort Castle from here and the Lebanese crane next to it. The sight takes us back to different times. Between an IDF post and the Metula homes, a Merkava Mark IV tank improves its position. 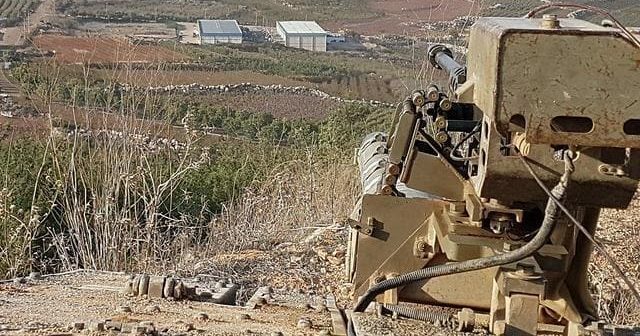 The regular state of alert here is so high and the fighters are available for any call, that the armed tank is prepared to take position opposite the two Lebanese villages and attack any threat within minutes. Some of the targets are already stored in the forces’ bank of targets. The IDF’s routine security patrols arrive instantly in jeeps upon receiving any warning from the fence area or being informed of a developing incident, like small-scale disturbances that take place near the fence occasionally. In the Metula area alone, there are 12 points of contention that are occasionally documented by Hezbollah. The battalion commander and his deputy are the only battalion members who fought in the Second Lebanon War. For the rest of the team and fighters, who joined the IDF after the summer of 2006, that war is a distant memory. The past week was a reminder of the likelihood of the next northern war reaching them 12 years later. 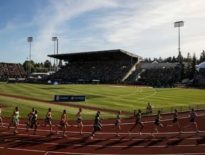 Previous ArticleJustice Department Solicits Information Pertaining to FIFA, I.O.C. and U.S.O.C.